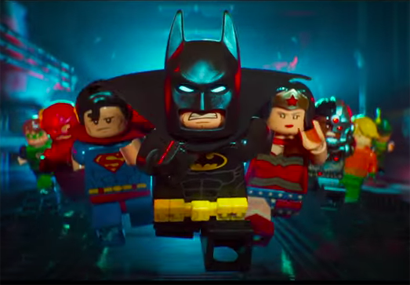 Warner Bros. released the trailer to The Lego Batman Movie last week, and boy does it look like fun! On top of that, it features a blink-and-you'll-miss-it appearance by the rest of the JLA including a certain Sea King! That means Aquaman will be in two big screen movies in 2017--one live-action, one animated. Outrageous!